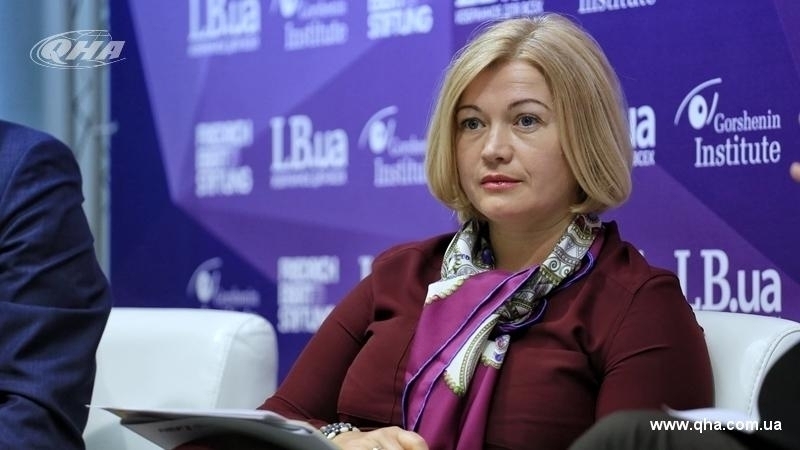 Recognition of holding a "referendum" in the occupied Crimea in March 2014 by Russian President Vladimir Putin will help in the preparation of new lawsuits against the Russian Federation, the First Vice-Speaker of the Verkhovna Rada of Ukraine, Irina Gerashchenko stated. According to her, one of the main points of the press conference following the meeting in Toronto was precisely the statement of the Russian president about who held the "referendum" in the Crimea. “The most important moment was that admission of guilt by Putin, when he said that "we held a referendum." I am confident that this will help our lawyers, lawyers of the Ministry of Foreign Affairs and the Ministry of Justice, in preparing further lawsuits against the Russian Federation on an illegal referendum at gunpoint. Putin added to the piggy bank of things that will serve us an evidence base,” Gerashchenko said. Reference: At a press conference on the results of negotiations with Trump in Helsinki, Putin stated that "Trump adheres to the position of illegality of joining the Crimea to the Russian Federation." Putin in his turn said "we believe that we held a referendum in the Crimea in full compliance with international law." However, the press office removed the second "we", changing the essence of the statement of the Russian president. Ukrainian President Petro Poroshenko commented on Putin's words about the "legality" of the annexation of the Crimea and about holding a "referendum". He noted that not the Ukrainians, not Ukrainian authorities or people, but they held a referendum, which is another convincing proof of the illegality of annexation.